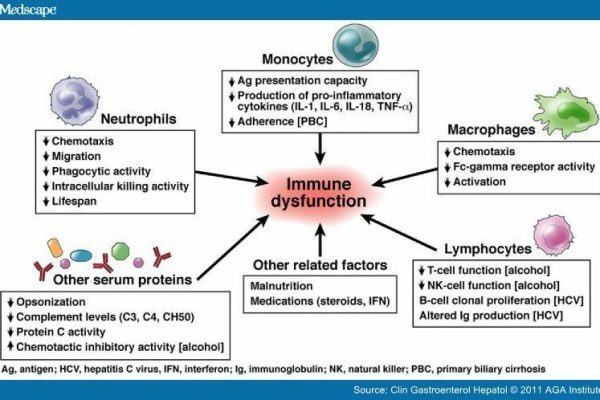 Frequently observed immune dysregulations include altered cytokine profiles, high level of PGE2, low NK-cells activity, low CD57+ cells count, and abnormal levels of soluble CD14 and C4a. A principal avenue of investigation has been the measurement in blood of immune signals conducted by cytokines. In humans, systemically administered pro-inflammatory cytokines, such as IL-6 and TNF-α typically induce a systemic inflammatory response. Th1 and Th2 immune cells produce and release cytokines that trigger a domino effect leading to an immune reaction. Th1 cytokines suppress Th2 cytokines and vice versa. If the pathogen is defeated, the immune system returns to a balance between Th1 and Th2. Unfortunately, some conditions involve chronic activation or suppression of one of the two categories. In addition to our serum-based cytokine quantification, we also offer urine-based Th1/Th2 balance test (see dedicated page). PGE2 is a compound derived from membrane phospholipids. PGE2 is also a key mediator of immunopathology in chronic infections and cancer. PGE2 enhances its own production but suppresses acute inflammatory mediators, resulting in its predominance at late/chronic stages of immunity. PGE2 selectively suppresses effector functions of macrophages and neutrophils and the Th1-, CTL-, and NK cell-mediated type 1 immunity, but it promotes Th2, Th17, and regulatory T cell responses. PGE2 modulates chemokine production, inhibiting the attraction of proinflammatory cells while enhancing local accumulation of regulatory T cells and myeloid-derived suppressor cells. Natural Killer cells (NK) are cytotoxic cells that mediate the immune response against certain cancer and virus-infected cells. NK cells are normally found in the peripheral blood and are classified by their cell surface markers such as CD3-/CD56+ cells. The activity of NK cells is altered in several disorders such as multiple sclerosis, lupus and CFS. The activity is very sensitive to various environmental pollutants. Since NK cells have a significant role in the defense against viruses, decreased NK activity can lead to the development of opportunistic viral infections. NK cells exert their cytotoxic effect by releasing perforin. Perforin is a protein that will destroy the cytoplasmic membrane of target cells and finally kill them. The expression of perforin mRNA can be measured as a mean to evaluate NK cell activation. Elastase is an inflammatory protease expressed in immune cells.Elastase contributes to the immune defense by inactivating foreign bacteria but causes damage to connective tissue and breaks down cytokines, immunoglobulins and immune cells receptors at the same time. An excessive, chronic production of elastase is therefore detrimental. The expression of mRNA can be quantified as a specific marker of inflammation. CD57+/CD3- cells are a subset of NK cells. Their exact function is not well understood but differentiates them from CD56+ NK cells. The absolute number of CD57+/CD3- cells is low in patients suffering from chronic Lyme disease [Stricker et al. 2001]. Patients with very low CD57 have significantly more co-infections and persistent immunologic defects than patients with higher counts. In patients that respond to antibiotic therapy, the number of cells come back to normal. Therefore, this is a useful marker to follow the effect of therapy. CD14 is expressed in monocytes/macrophages and has a critical role in the recognition of bacterial cell wall components (LPS). The extracellular part of CD14 can be cleaved and released in the plasma. There it will inactivate circulating LPS. 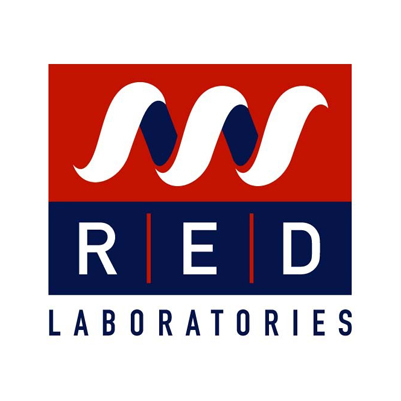 Serum soluble CD14 levels are significantly elevated in patients with inflammatory bowel disease and Crohn’s disease.In patients suffering from Brucellosis or Lyme disease these levels are significantly elevated too. C4a is an anaphylatoxin generated by cleavage of the complement component 4 (C4) upon activation of the component system. C4a increase causes local inflammatory response and symptoms of hypersensitivity. C4a levels are elevated following exercise in CFS patients. An US study had reported that elevated complement C4a was an early marker for Lyme disease in tick-bitten patients. VEGF has a great role in pathological conditions that are associated to autoimmune diseases such as in systemic lupus erythematosus, rheumatoid arthritis, and multiple sclerosis. Serum levels of VEGF correlate with disease activity in a large number of autoimmune diseases and fall with the use of standard therapy. Possible future therapeutic strategies in autoimmune diseases with the anti-VEGF or anti-VEGFR (receptor). So far, this therapy has been used in cancer and macular ocular degeneration in diabetes. Abnormally high levels of VEGF in a mold-free environment would suggest Bartonella infection. VEGF can go down in the presence of indoor molds. Macrophages and neutrophils constitutes one of the main effectors of nonspecific immunity, phagocytizing conventional and opportunistic microorganisms and presenting their antigens to T lymphocytes for inducing specific immune functions. PHAGO test will check for effective macrophage phagocytic activity.